On 15 April, the French space agency CNES rotated the Pleiades Earth observation satellite to capture this image of Envisat. 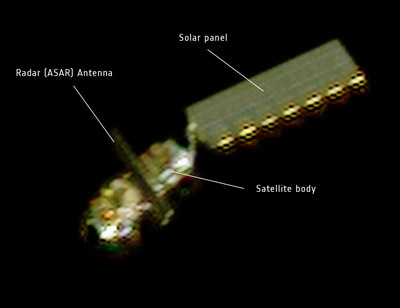 At a distance of about 100 km, Envisat’s main body, solar panel and radar antenna were visible. A drifting satellite as big as Envisat would be more than just a huge space wreck: in case of collision, given its mass, volume and shape, it might generate a cloud of smaller debris large enough to populate the orbit, initiating a self-sustaining chain-reaction of collisions and fragmentation with production of new debris. This phenomenon, known as the Kessler Syndrome, would eventually make space operations difficult or even impossible, and prevent access to space to future human generations. – In the video below, a short documentary about the Kessler Syndrome. Caricature of Don Kessler (Credits: Pat Rawlings). Don Kessler is an American astrophysicist and former NASA scientist who worked at the Johnson Space Center in Houston, Texas, where he started what is now called the NASA Orbital Debris Program Office . 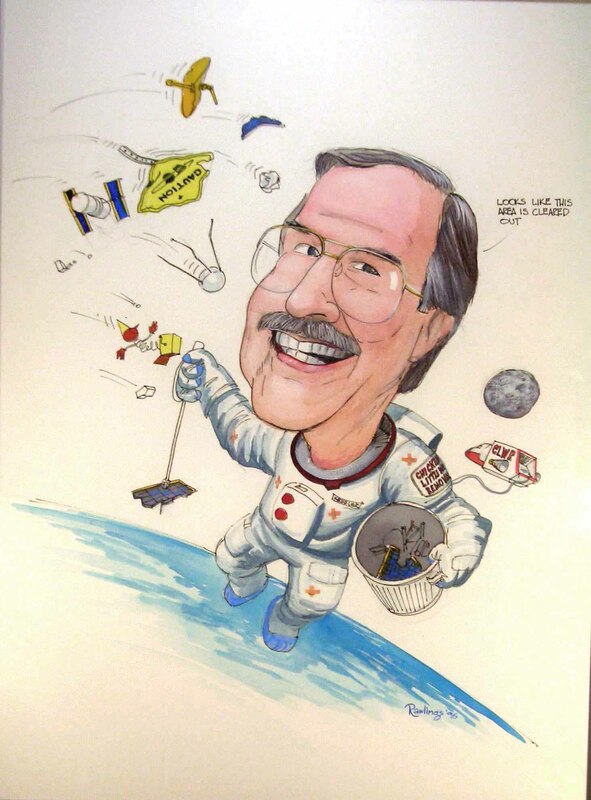 Still active in the space community as Orbital Debris and Meteoroid Consultant, Don is an honorary member of IAASS.